Why Are There No Google Street Views On The University of Georgia Campus? 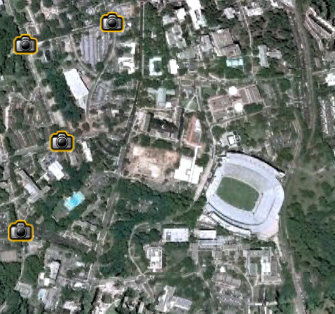 So I was just checking out the new Google Earth 5 (5.1.3509.4636 beta… to be exact), and I noticed something odd when I visited The University of Georgia (on Google Earth that is). I noticed that there are no street views available anywhere on campus! And then I asked myself – “why in world are there no Google street views on the campus of The University of Georgia”. I guess it’s really no big deal either way, but I found it sort of strange and I also figured there was probably a very specific reason as to why street views did not exist. A bit of an explanation here of what you’re looking at. The small cameras that you see are all of the areas that have Google Maps street view. If you were to zoom in more, you’d see more cameras popping up. 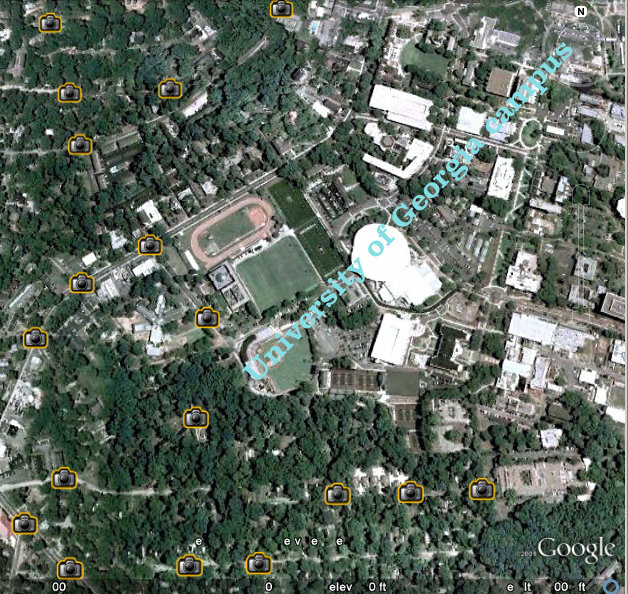 However, to the right which is The University of Georgia’s campus, there are absolutely not cameras anywhere. And if you where to continue zooming, or even panning across the rest of the campus, you’d get the same – absolutely no Google Maps street views. So I couldn’t help but wonder why in the world is there no street views for The University of Georgia. I checked out some other campuses like Harvard University. Not only does Harvard have street view covering literally every square inch of campus, but they also have 3D building views of the entire campus. Just more out of curiosity, I figured I’d write this article to see if anyone out there had any insight as to why The University of Georgia does not have any Google street views on Google Earth or Google Maps? Is it possible that The University of Georgia has banned street view from campus? And could they even do that if they wanted to?